Your credit report works in a similar way to a report card you would get back in school. It demonstrates your ability to repay debts and show how capable you are at making good on your financial obligations. Statistics show that 25% of consumers have a credit score of below 600 which is classified as a “bad” credit score. Regardless of what you score might look like now, you can always turn it around to improve your score to says rating. It will just take some time, effort and care. If you can work to get your score looking healthier, lenders will be able to see how you’ve improved your score and be more likely to approve any future loans you might need. But how do you know if you need to improve your credit rating? 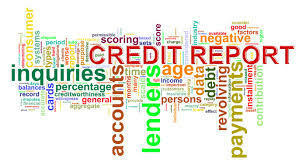 Well, there are a few things that you don’t want to see on your credit report that say to lenders that you are not a reliable borrower and will likely deny any loan applications you make. While these things may reflect on your report for quite a long time, there’s no reason why you can’t start working to improve your score right now. Even with these negative marks to your name, if you’ve proven that you’re good at repaying your debts, your overall score will improve. If you go a long time without making repayment for a credit card or loan, the lender may eventually write off the debt and pass it on to a debt collecting service. Generally, this will occur after you miss about six repayments or a certain amount of time without payment. Once the lender has reached this point, they will assume that you are never going to pay, cut their losses and move on. Which is fine for them, but not for you since it goes on your credit record. While you could avoid this debt forever, the mark to your name will stay there forever too. To get this mark removed from your record, you will need to settle the debt in full while also paying your repayments on other debts on time. Besides, you will need to cut back on any credit card spending too to avoid future write-offs. If you’ve had any debt written off by a lender, it is generally sold to a collections agency that will attempt to retrieve the money back from you. They also add their fee onto that, meaning you’ll have to pay back even more than what you owed. This type of mark can stay on your record for as many as seven years, even if you pay the outstanding debt in full. Even though the mark will still be there and won’t affect your score too drastically, it will be listed on your report as paid, so lenders can see that you are working on your credit history. More often than not, people try to build a good credit rating to get a home loan for the home of their dreams. Sadly, many people buy homes for a bond that they genuinely cannot afford to repay in the long run. When you are unable to make repayments on your home, it gets foreclosed on and taken away from you. Plus, you get a nasty mark on your credit report for it which hurts your chances of applying for another bond in the future. If this happens, you will need to find a home to rent that is affordable for you and work at rebuilding your credit rating. It‘s also recommended that you speak with a financial advisor or debt counselor to find potential ways of improving your finances and overall financial situation that will, in turn, better your credit report.